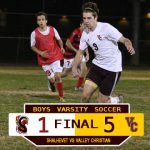 Boys Varsity Soccer defeats visiting Shalhevet 5-1 in their final tune up before opening Olympic League play on Friday at Village Christian. 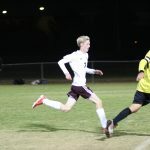 Chris Dupuy records a hat trick while Pedro Ventura and Kurtis Vander Meulen each scores a goal. Boys Varsity Soccer defeats Southlands Christian 6-0 behind 2 goals from Chris Dupuy. 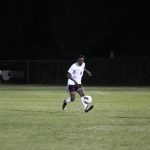 Josh Asiedu-Akrofi, Kurtis Vander Meulen, Sam Montoya, and Trung Pham each with goals. VC will host Shalhevet on Wednesday (1/10) before going on the road to open Olympic League play vs Village Christian on Friday (1/12) at 2:30pm. Boys Varsity Soccer defeats Sage Hill 3-1 and improves to 2-1 on the season. Kurtis Vander Meulen, Andrew Lange and Chris Dupuy each with goals. VC will next host Lakewood on Thursday, December 7 at 4pm. Boys Varsity Soccer defeats visiting Whitney 3-0 and improves to 1-1 on the season. 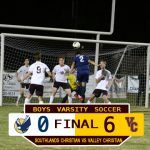 With the score tied 0-0 at the half, Kurtis Vander Meulen scores 3 goals within the first 11 minutes of the second half to lead VC to victory. Crusaders will host Sage Hill on Tuesday, December 5 at 5:30pm. 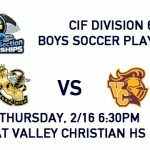 Boys Soccer vs Hesperia will be on Thursday, 2/16 at 6:30pm. 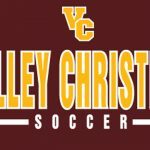 Thursday, February 9, 2017 4:00 PM Heritage Christian AWAY 1 Valley Christian/Cerritos HOME 2 Game Recap Valley Christian defeats visiting Heritage Christian 2-1 in the season finale. 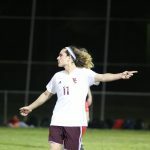 Charlie Walker scores both goals for VC.